Across the U.S., there is increasing awareness of the importance of computer science skills and knowledge and the need to make computer programming part of educational curriculum nationwide. Since 2003, the ITEST program has been funding programs and research aimed to expose youth from populations underrepresented in STEM to computer science, engineering and programming, to the computational thinking and habits of mind needed in a global knowledge economy. Below are selected ITEST computer science-focused projects, publications, and curricular materials that provide a rich history of what the ITEST program has achieved in this area. For additional computer science education resources, check out the CS10K community page. Funded by the National Science Foundation (NSF) and maintained by the American Institutes for Research (AIR), the CS10K Community is a component of NSF’s CS10K initiative, which seeks to have 10,000 well-trained computer science teachers in 10,000 high schools across the United States. (Event) The CS10K Community and the STEM Learning and Research Center (STELAR) held a #cs10k #ce15 Broadening Participation in STEM Education Twitter chat on Monday, October 5 from 8-9pm ET. (Event) The CS10K Community and the STEM Learning and Research Center (STELAR) hosted a #cs10k #ce15 Broadening Participation in STEM Education Twitter chat on Monday, October 12 from 8-9pm ET. (Blog) STELAR recently caught up with Irene Lee about her work on Project GUTS: Growing Up Thinking Scientifically. Code.org has entered into a partnership with Irene Lee to roll out Project GUTS across the nation as part of their middle school computer science training. (Project Profile) The project is creating and assessing an adaptable scale-up model that enables the participation of underserved audiences in intensive, experiential STEM learning, acquisition of 21st century skills, and increased engineering career awareness. (Project Profile) The COMPUGIRLS Scale-Up project utilizes a culturally relevant technology (CRT) program to prepare girls ages 13-18 from the Phoenix high needs district to enter the STEM workforce. (Project Profile) The project uses Mobot (a modular robotics platform designed for K-12 education) to prepare teachers to engage students with relevant pedagogy that illustrates abstract math concepts with concrete applications using computing and robotics. (Project Profile) Two successive MESA cohorts totaling 80 local underrepresented high school students take a one-year introductory computer game programming course at the university and at their high school, along with mentoring and other activities. (Project Profile) Embedded in existing computing education and STEM courses, the project-developed curriculum--Scalable Game Design (SGD)--introduces middle school students to computational thinking through game design and advances them to STEM simulation design. (Publications) Visual programming in 3D sounds much more appealing than programming in 2D, but what are its benefits? (Publications) This paper suggests a Cyberlearning tool based on a highly innovative assessment methodology that helps teachers with computer science education. (Publications) In this paper we lay out our strategy of our Scalable Game Design curriculum, which has been funded through a series of NSF (ITEST Strategy, CE21 Type II, and ITEST Scale Up) grants as well as the Google CS4HS program, and list some research questions relevant to bringing Computer Science education to middle schools. (Publications) Currently, obesity has become one of the major health concerns in the United States. A way to relieve this problem is creating fitness activities using the technology and tools available at hand. “Punching Pad” is a prototype that utilizes Scratch for Arduino software and the Arduino Board to make this possible. This device is not only considered a viable fitness activity, but also it could help to inspire children to build other gadgets that, in fact, would facilitate the acquisition of programming skills and basic electronics concepts. 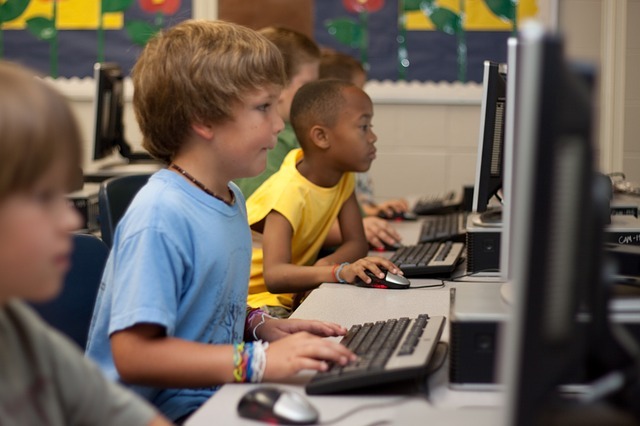 (Curricular Materials) Through their focus on integrating computing and robotics into regular STEM classroom with hands-on project-based learning, the C-STEM Center, part of ITEST project Co-Robots for STEM Education in the 21st Century, has developed innovative teaching strategies, textbooks, and courseware. (Curricular Materials) ITEST project Scaling up an Innovative Approach for Attracting Students to Computing shares its materials and lesson plans developed from its workshop series on its website.